Irvine, Calif. (Jan. 8, 2019) – American Healthcare Investors and Griffin Capital Company, LLC, the co-sponsors of Griffin-American Healthcare REIT IV, Inc., announced today that the REIT completed the acquisition of 11 healthcare buildings in five states and a joint venture membership interest in Trilogy Investors, LLC for an aggregate contract purchase price of approximately $200.4 million during the fourth quarter of 2018. The first tranche of Michigan Assisted Living Facility Portfolio consists of six buildings within five senior housing facilities totaling approximately 272,000 square feet and 302 units located throughout Michigan. The first tranche of the portfolio was acquired in a sale-leaseback transaction with the operator, Vista Springs Assisted Living, which will lease the properties through 2033 under an absolute net lease structure. Located on the campus of the 461-bed Doctors Medical Center, Modesto Medical Office Building was 92 percent leased at the time of acquisition and had an average remaining lease term of 9.5 years. Its principal tenant is First California Physicians Partners, which leases 81 percent of the property through 2030. The three-story, approximately 57,000-square-foot building is the only medical office building on the campus of Doctors Medical Center, the largest hospital in Stanislaus County. Mill Creek Medical Office building is a 100 percent leased, single-story medical office building comprised of approximately 22,000 square feet. The multi-tenant property is leased to five tenants under triple net lease structures that include annual rent escalators of between 2.5 percent and 3 percent. At the time of acquisition, the building enjoyed a remaining weighted average least term of 9.6 years. Adjacent to the campus of the 353-bed Gwinnett Medical Center – Lawrenceville, the two-story medical office building is 100 percent leased to multiple tenants with an average remaining weighted lease term of 7.2 years. The approximately 45,000-square-foot building has received substantial capital improvements totaling in excess of $2 million during the past two years. Built in 1993 and 2002, the two-building Flemington Medical Office Building Portfolio totals approximately 49,000 square feet and has a weighted average remaining lease term of approximately 6.8 years. 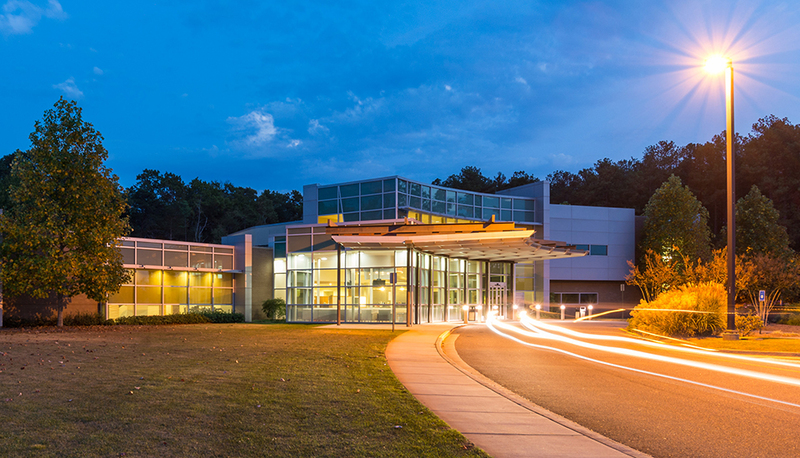 As of the date of acquisition, the portfolio was approximately 99 percent leased to 14 tenants, including Hunterdon Medical Center, the dominant healthcare provider in the region since the 1950’s. Collectively, Hunterdon and its affiliates lease approximately 50 percent of the portfolio’s rentable square footage. Griffin-American Healthcare REIT IV acquired a 6 percent interest in a joint venture that owns approximately 97 percent of Trilogy Investors, LLC (“Trilogy”), the parent company of Trilogy Health Services LLC. Trilogy is a leading owner-operator of purpose-built integrated senior healthcare campuses throughout the states of Indiana, Ohio, Michigan and Kentucky. Comprised of prospective real estate acquisitions for which the company has executed letters of intent and/or purchase and sale agreements as of December 31, 2018. These prospective acquisitions are subject to substantial closing conditions and the satisfaction of other requirements as detailed in the agreements. Accordingly, the closing of some or all of these pending transactions may not occur. Excludes the company’s senior housing – RIDEA facilities. The company’s senior housing – RIDEA facilities were 76.7 percent leased for the nine months ended September 30, 2018 and substantially all of the company’s leases with residents at such properties are for a term of one year or less. The operation of healthcare-related facilities utilizing the structure permitted by the REIT Investment Diversification and Empowerment Act of 2007 is commonly referred to as a “RIDEA” structure. American Healthcare Investors is an investment management firm that specializes in the acquisition and management of healthcare-related real estate. One of the world’s largest managers of healthcare real estate, the company oversees an approximately 17 million-square-foot portfolio valued at approximately $3.7 billion, based on aggregate purchase price, on behalf of multiple investment programs that include thousands of individual and institutional investors. As of Sept. 30, 2018, this international portfolio includes approximately 270 buildings comprised of medical office buildings, hospitals, senior housing, skilled nursing facilities and integrated senior health campuses located throughout the United States and the United Kingdom. The company and its principals have completed approximately $26 billion in aggregate acquisition and disposition transactions, approximately $16 billion of which have been healthcare-related. American Healthcare Investors is committed to providing investors with access to the potential benefits that healthcare-related real estate ownership can provide. For more information regarding American Healthcare Investors, please visit www.AmericanHealthcareInvestors.com. Griffin Capital Company, LLC is a leading alternative investment asset manager that owns, manages, sponsors or co-sponsors approximately $11.2 billion* in assets. Founded in 1995, the privately held firm is led by a seasoned team of senior executives with more than two decades of investment and real estate experience and who collectively have executed more than 650 transactions valued at over $22 billion. The firm manages, sponsors or co-sponsors a suite of carefully curated, institutional quality investment solutions distributed by Griffin Capital Securities, LLC to retail investors through a community of partners, including independent and insurance broker-dealers, wirehouses, registered investment advisory firms and the financial advisors who work with these enterprises. Additional information is available at www.griffincapital.com. *Includes the property information related to interests held in certain joint ventures. As of September 30, 2018. This release contains certain “forward-looking statements” within the meaning of Section 27A of the Securities Act of 1933, as amended, or the Securities Act, and Section 21E of the Securities Exchange Act of 1934, as amended, or the Exchange Act, including statements with respect to the value of the fourth quarter acquisitions to the REIT’s portfolio; the growth of our portfolio and the completion of pending acquisitions. We intend for all forward-looking statements to be covered by the safe harbor provisions for forward-looking statements contained in Section 27A of the Securities Act and Section 21E of the Exchange Act, as applicable by law. Because such statements include risks, uncertainties and contingencies, actual results may differ materially from those expressed or implied by such forward-looking statements. These risks, uncertainties and contingencies include, but are not limited to, the following: the strength and financial condition of our real estate investments and their tenants and operators; the substantial closing conditions and satisfaction of other requirements detailed in the letters of intent and purchase and sale agreements for pending acquisitions; the uncertainties regarding changes in the healthcare industry; uncertainties relating to changes in general economic and real estate conditions; the uncertainties relating to the implementation of Griffin-American Healthcare REIT IV’s real estate investment strategy; and other risk factors as detailed from time to time in Griffin-American Healthcare REIT IV’s periodic reports, as filed with the Securities and Exchange Commission. Forward-looking statements in this document speak only as of the date on which such statements were made, and we undertake no obligation to update any such statements that may become untrue because of subsequent events.